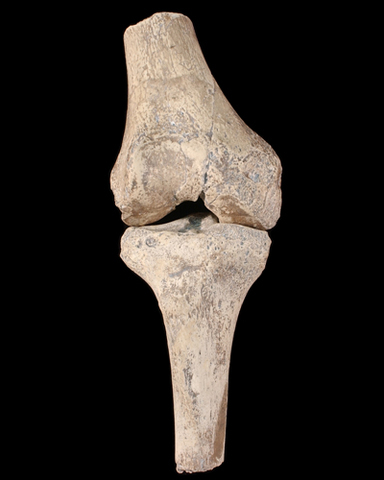 AL 129, or "Johanson's Knee" consists of a distal femur and proximal tibia that articulate together almost perfectly. This articulation indicates that the bones come from the same individual. The knee, although relatively small in size, appears very similar to modern humans, including the presence of a bicondylar angle.